Over the history of the collision repair industry, the local center has often been a family business, with automotive repair skills handed down from one generation to the next. Many of these families still run successful collision repair facilities today and their son, daughter or grandchildren are at the helm. However, the business of collision repair is much different today, with the days of the local shop on the corner gone by. Repairs now require advanced technical skills to ensure a safely repaired vehicle. Furthermore, the business itself is a sophisticated operation that demands a strong grasp of finance, operations, customer service and more. 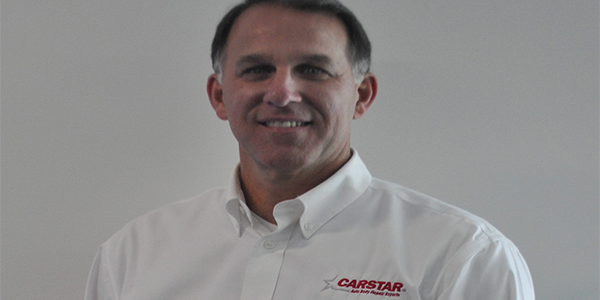 So how does a collision repair owner inspire and train the next generation of leadership for their facility? Dean Fisher, who founded and operated a collision repair shop in Yorkville, IL, transitioned the business to his son Justin in 2014 and joined the corporate team as the chief operating officer. He had Justin start working with the production manager, then the estimator, then the front office, and ultimately shadowing him on a daily basis to learn all aspects of the business. Today, Justin Fisher owns two locations, one in Yorkville and the second in Poplar, while also being named the Franchisee of the Year. The move was thoughtful, planned and purposeful, which led to the success of the transition. Dean Fisher provides insight to help other family owned businesses conduct their own successful transition. Do an assessment of your business – Your strengths and weaknesses, your opportunities and your challenges – as well as an overall review of your current team. Take a step back and evaluate your son or daughter – or whomever the family member you are considering is – from a third-party perspective to understand where their strengths and approach can benefit the business while also identifying opportunities for improvement. Have them work in every area of the business — to understand the daily tasks, challenges, frustrations and needs within each department. Be disciplined in your transition plan – Your entire team is watching. You want to help the next generation successfully build strong relationships with team members, customers, vendors, insurance partners and other business associates. Be a role model – How you treat people, your commitment to hard work, your ethics in making repairs and working with customers all are passed down to the next generation and create a positive foundation for them. Never fear the younger generation – They might not do things the same way you do, but they likely bring different skills that benefit the business, particularly around technology and team leadership of a younger workforce. Learn and listen – A successful transition is a two-way street. You can learn as much as they do as you work together to shape the business for the future. While it is hard to turn over a business that you’ve spent your lifetime building, the pride in seeing the next generation take the reins and succeed is incredibly rewarding.